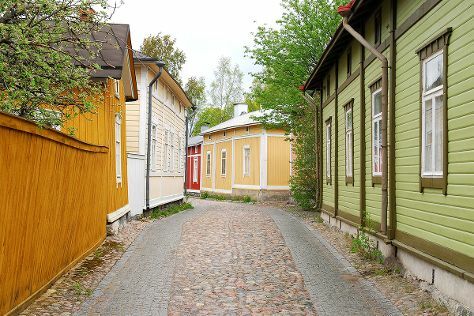 Satisfy your inner culture vulture at Naantali Old Town and Aboa Vetus & Ars Nova. Your itinerary includes some good beach time at Bellevue Beach and Ispoinen Beach and Sauna. Change things up with these side-trips from Turku: Aurlahti Beach (in Lohja), Nuuksio National Park (in Espoo) and Rauma (The Church of the Holy Cross & Old Rauma). And it doesn't end there: explore the historical opulence of Turku Castle, have some family-friendly fun at Moomin World, browse the different shops at Turun Kauppahalli, and get engrossed in the history at Forum Marinum Maritime Centre. For ratings, reviews, photos, and tourist information, use the Turku tour planning tool . If you are flying in from United Kingdom, the closest major airport is Turku Airport. Expect a daytime high around 24°C in July, and nighttime lows around 13°C. You will have some time to spend on the 22nd (Mon) before leaving for home.